Welcome to Superior Piling manufacturers of quality light weight steel sheet piling. 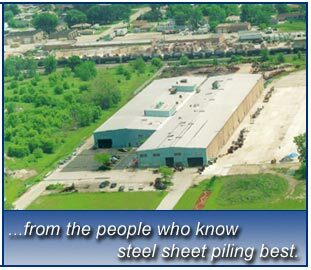 Located on 13 acres, our 100,000 square foot facility can cut piling to your exact lengths With "Superior" customer service, our company will work to meet your job requirements. Re-establish property lines, stops erosion, reclaim washed out property, keep out muskrats and pests, beauty and durability increases property values.